Have not noticed that. That sounds like the keyboard state becoming inconsistent. What is your joystick configuration in the options menu? Do you have any utilities on the machine that might be popping up windows elsewhere? Do you see this with any other titles? (I see you say arrow keys are the keys you are using, which is the same as I used). My score for this afternoon was right at 30,000, so no need to post pic, as it is below my current posted best. I had a chance to buy an aftermarket USB Playstation controller at a pawn shop yesterday for $15. I passed though. Maybe I should go back and get it... Might help my score. Edited by Opry99er, Sat Aug 15, 2015 4:31 PM. If you can get to that score playing the normal way by eating the hoonos then you certainly can top my 250K score if you use my method. I stink at munchman and still got through all 60 levels. The reason this works is because they are further away from you when the power dot (Texas) wears off and you have a little more time to finish up and get to the next corner. The points accrue slower, but you almost never die. Early on you should be eating hoonos; the trick is developing a feel for what stage of the game to start avoiding them. Falcon, please give it another run-through!!! For old time's sake. Would love to see a high score from you on here. Can't do it without joysticks and mine are broken. It'll be enough to see someone else top my score! I am considering over-nighting you a set of sticks on loan. LOL!!! By the end of the month, I believe we WILL see 250K. Thanks for the hints and tactics... Really interesting stuff. Hi Senior_falcon: There are alternatives, no excuses (just kidding), 250.000 we want to see it! as with the keyboard. Opry99er do you provide insurances for all the people in the competition? (great game by Rasmus and luckily it is only 100m, but to do a 1600m... like in Decathlon? 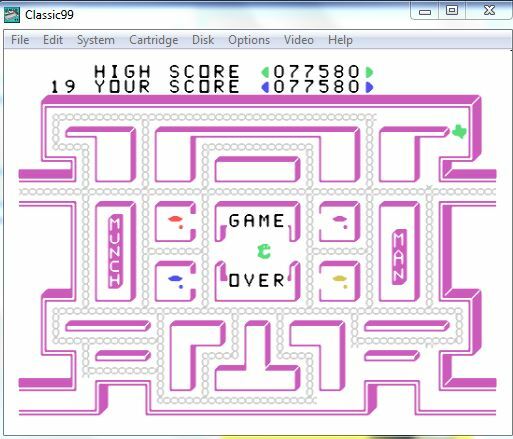 66,700 with keyboard on emulator. Tomorrow we try the real iron. 66,700 is definitely respectable!! Looking forward to your hardware score! Nice, Dex. Better than mine so far. Nice!!! Good to find treasures in your gear collection!! Make sure it's a pair of these.... it'll give you the advantage! Most of my joysticks are gone these days. A marked improvement... Well done, sir!!! I can't even break 10k .... You guys aren't going to make me take a picture of that are you? Thank You! Thank You! It's nice to know I'm not alone! For everyone who plays and posts a screenshot of their score, I will be assigning a number to your name and will run a random number generator program in XB to grab an integer. The name assigned to the random number which gets randomly selected will receive a consolation prize... I will post a picture of said prize when I get home this evening. Edited by Opry99er, Tue Aug 18, 2015 11:21 AM. I've been trying for days now, despite I'm playing on the real iron, and with a fantastic joystick, I just can't break the 50k. That might seem high from a 10k perspective, but what about the 160k from globeron?! My best ever was 86,000 and some change. I know because I have it written down in my "TI HIGH SCORES" book at home. That was done on real iron with a Wico ball joystick. I can't seem to get half that using arrow keys on my PC in emulation though... Props to the high scorers so far... You guys are freaks. Just stumbled across this thread. Nice. 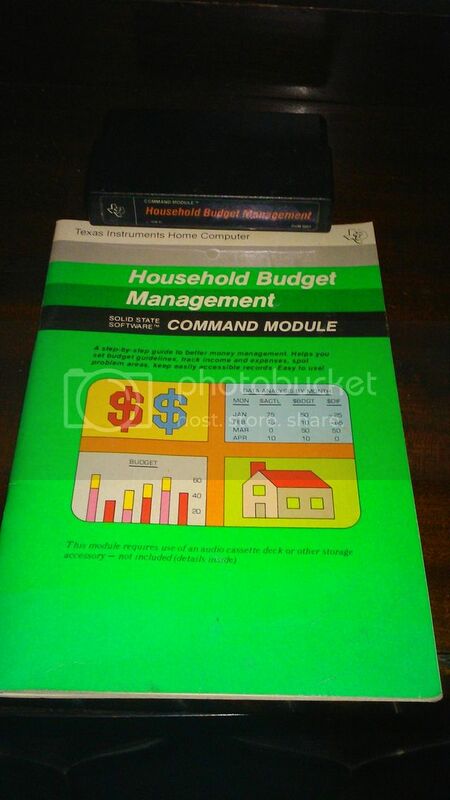 That was one of my first programming books. I do have a few TI"S still and a full set of GROMS. I am playing now too. I love seeing a community for this. Awesome. I played munchman back in "81 till My fingers bled. Okay... As promised... The consolation prize. I hate to part with it... It has been the centerpiece of my TI collection for years.